Tue., Aug. 8, 2017, 8:04 a.m.
WASHINGTON – U.S. employers posted a record number of open jobs in June, a sign that the solid hiring of recent months will likely continue. The report comes after the government said Friday that employers added 209,000 jobs in July and revised its June figure higher to 231,000. Friday’s figures represent a net total of jobs added minus jobs lost, while Tuesday’s report includes overall hiring data. Tuesday’s data come from the Job Openings and Labor Turnover survey, or JOLTS. They are more detailed and provide a fuller view of the job market than the monthly jobs figures. The JOLTS suggests that the economy is at or near “full employment,” when nearly everyone who wants a job has one and the unemployment rate mostly reflects the temporary churn of job losses and gains. 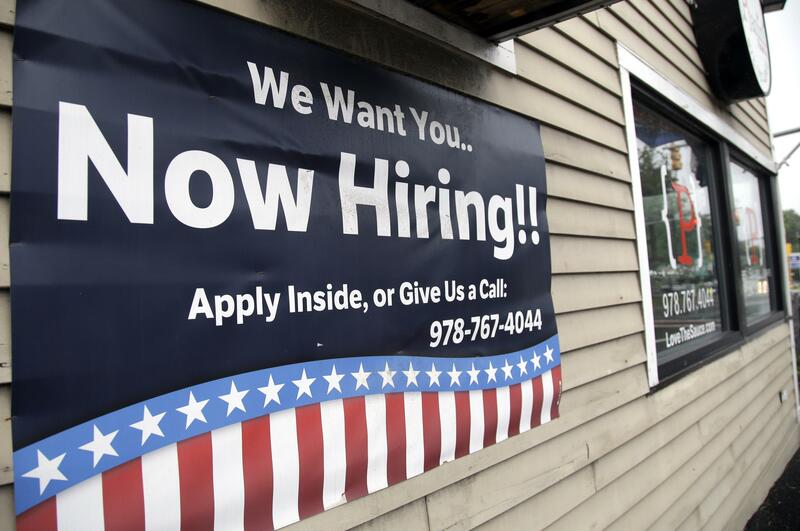 Yet on Friday, the government’s jobs report showed that many Americans have come off the sidelines and launched job hunts in the past year, and most have found jobs. These newly-employed workers weren’t actively looking for jobs in previous months and so weren’t counted as unemployed. That is a sign that more Americans are willing to work than the unemployment rate suggests, and indicates the economy isn’t at full employment yet. Published: Aug. 8, 2017, 8:04 a.m.